An India-based aerospace supplier was looking to expand their capacity to meet the increasing demands of their customers which include Boeing and Airbus. 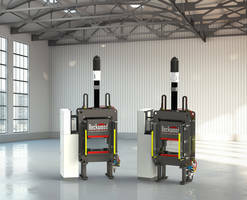 They approached Beckwood with an interest in the Triform line of sheet hydroforming and stretch forming equipment to fulfill several newly awarded contracts. Beckwood is the only OEM in the world able to provide such a diverse mix of forming technologies, making them the ideal single-source supplier of precision forming equipment. To meet the customer’s requirements, Beckwood supplied a Triform tray-style fluid cell sheet hydroforming press and an extrusion stretch forming machine. Throughout the sales and engineering processes, Triform collaborated with the manufacturer to develop the ideal machinery based on their part requirements. 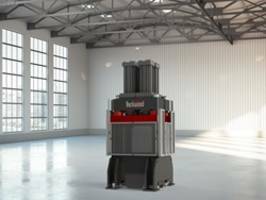 With a 24” x 96” forming area and a dual shuttle system to maximize efficiency, the Triform model 2496- 5BD is ideal for the low volume, high mix production requirements in the aerospace industry. During the fluid cell forming process, blank sheet material is placed over a single, unmated tool which sits on the working surface. A pressurized rubber diaphragm extends over the tool and blank, exerting equal pressure on every square inch of the part’s surface. The even application of pressure offers net shape part production while minimizing wrinkles, improving part definition, and reducing hand finishing. The 2496-5BD’s tray-style working surface not only allows the manufacturer to form large parts utilizing a single tool, but also enables them to form multiple small parts in a single cycle, increasing output. 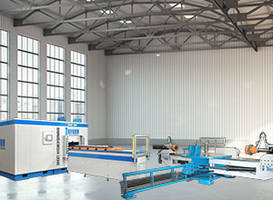 Also included in the package was a 28-ton extrusion stretch form machine. Capable of forming parts up to 120” long, the machine boasts recipe handling capabilities and a bar code scanner for easy set-up and repeatable forming results. During the stretch forming process, metal sheets or extrusions are stretched to exceed their inherent elastic limit and formed around contoured dies to create the desired shape. This “stretching” results in stronger finished parts with better shape control, surface quality, and yield strength than rolled or drawn parts. Standard on every Triform press are several proprietary uptime-focused technologies designed to shift maintenance efforts from reactive to proactive. Using closed-loop monitoring, the on-board PrePreventive Maintenance system (PPM) measures component and system performance in real time and relays critical maintenance data via on-screen notifications and email. To facilitate fast, complimentary troubleshooting and remote support, a PressLink connect module was included on both machines. PressLink allows Triform technicians to access a machine’s programming structure in order to identify and resolve issues without the need for an on-site visit. 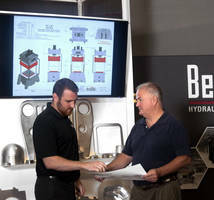 Beckwood Press Company is a leading hydraulic press manufacturer, located in St. Louis, MO USA. They offer quality, custom hydraulic presses for virtually every industry and application, including a line of temperature controlled presses for compression molding, composite forming and high-temperature Hot Forming / SPF applications. 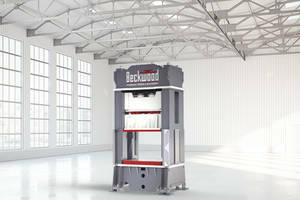 Beckwood also manufactures the Triform line of Sheet Hydroforming Presses in both Fluid Cell and Deep Draw configurations, hydraulic ring expanders / sizers, hot joggle presses, as well as a line of stretch forming machines for both extrusion, sheet / leading edge applications. 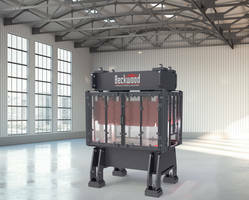 Get the latest news from Beckwood at http://www.beckwoodpress.com/news.